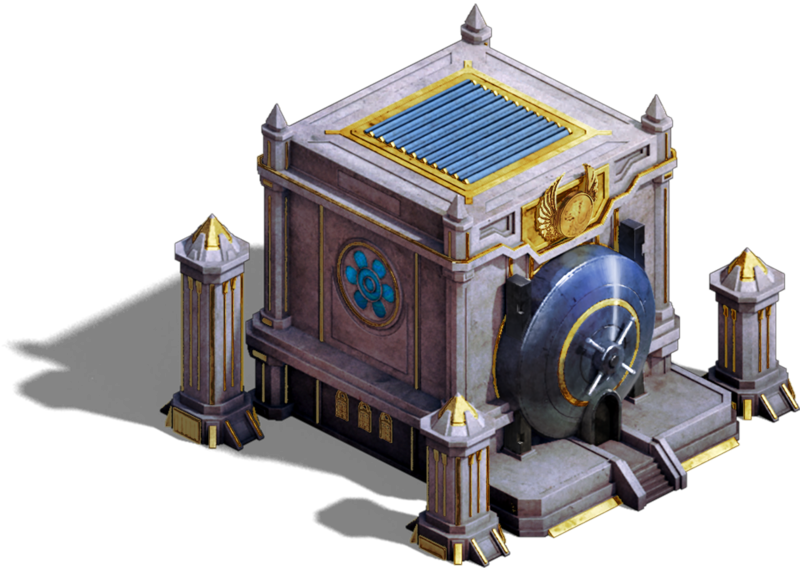 The Treasury is a bonus building which grants high returns on Gold deposits the higher level it achieves. Upgrading the Treasury can be difficult, as it does require the purchase of various Sales in the Gold Store. Keep an eye on the upgrade requirements for each level of the Treasury, as each level is different! Luckily, even a Level 1 Treasury can be fully utilized and provide a high return on investment, with no store purchases required!